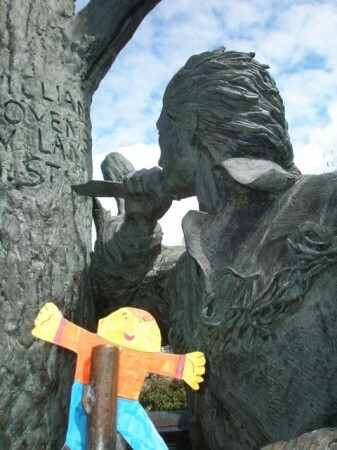 Categories: brilliant ideas, Everything!, travels here Comments Off on Flat Stanley! 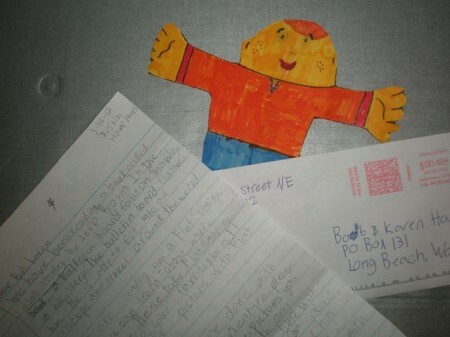 A Flat Stanley arrived in our mail box recently. He was sent to us by our grandson, Justin. 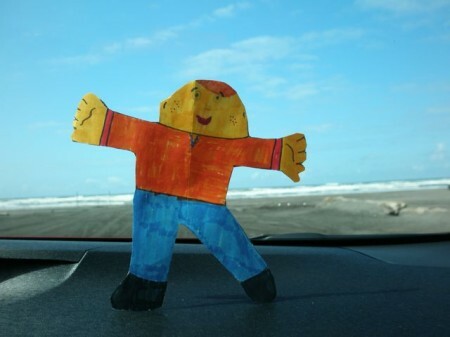 Justin enclosed a letter saying Flat Stanley was looking for adventure on the Long Beach Peninsula, and we were asked to be his guides. 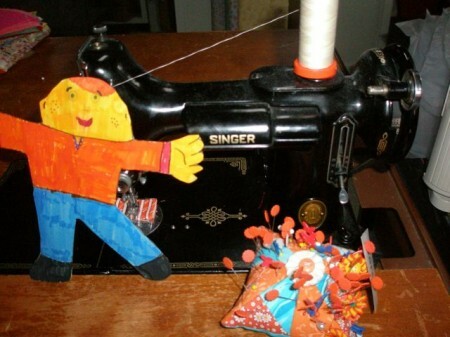 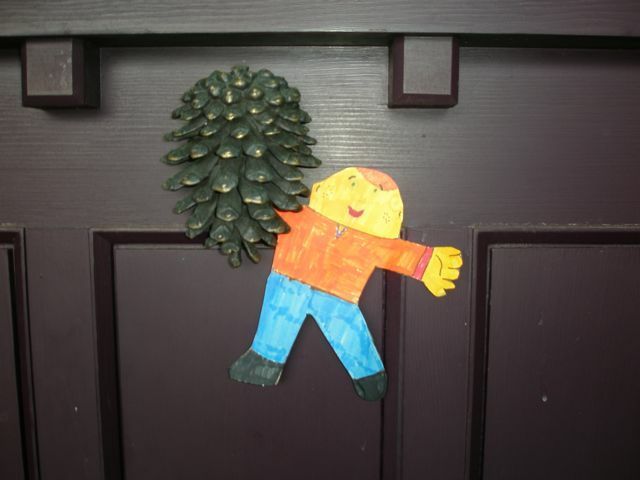 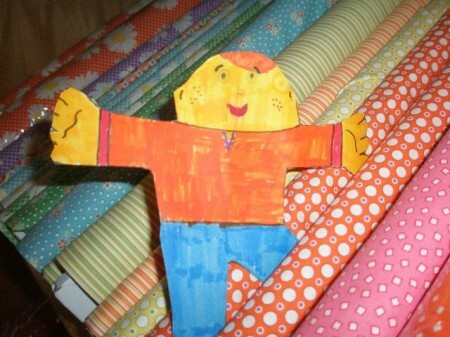 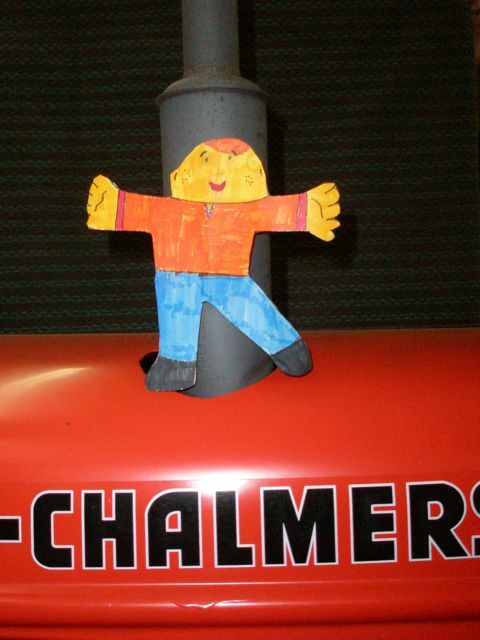 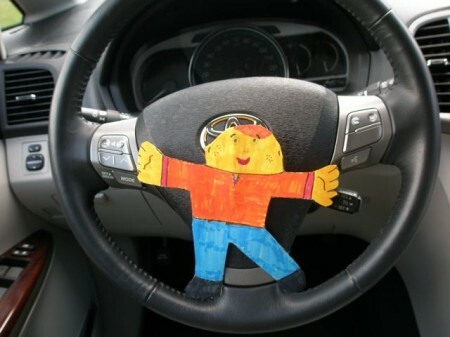 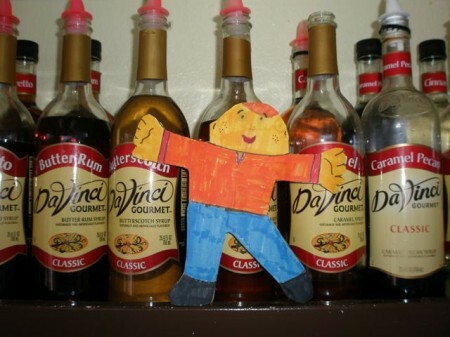 Following is the story of Flat Stanley’s time with us. 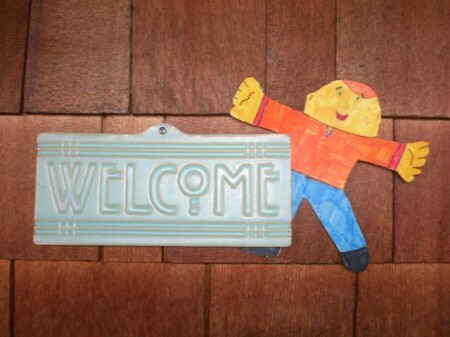 We welcomed Flat Stanley into our home. 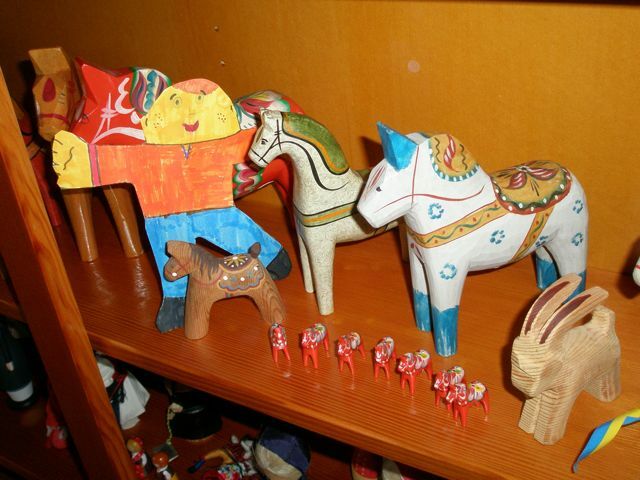 He immediately made friends with the Dala horses. But he’d heard a rumor there were tractors in Papa Bob’s shop. He loved Miss Alice, because she matched his shirt. 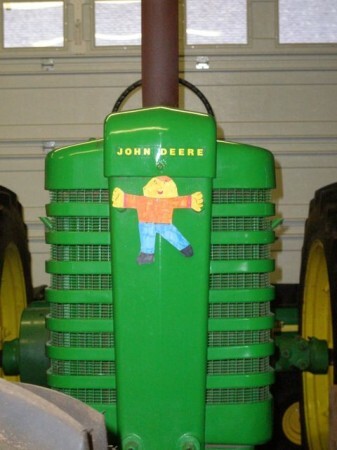 But then he decided John Deere green is really his favorite color! 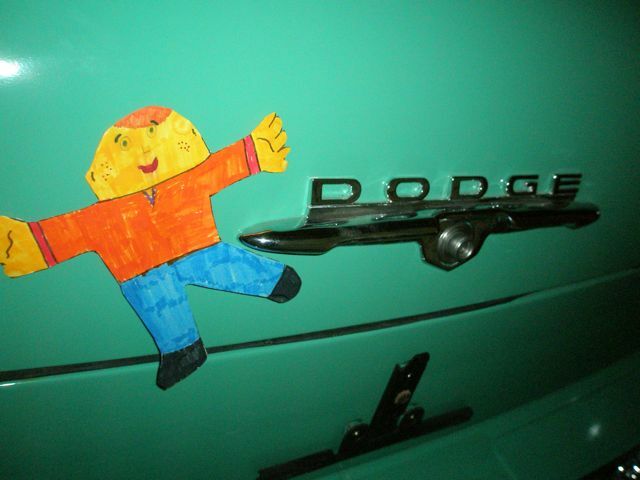 He said the pretty mint green on Grandma Karen’s old Dodge was almost as pretty as John Deere green. 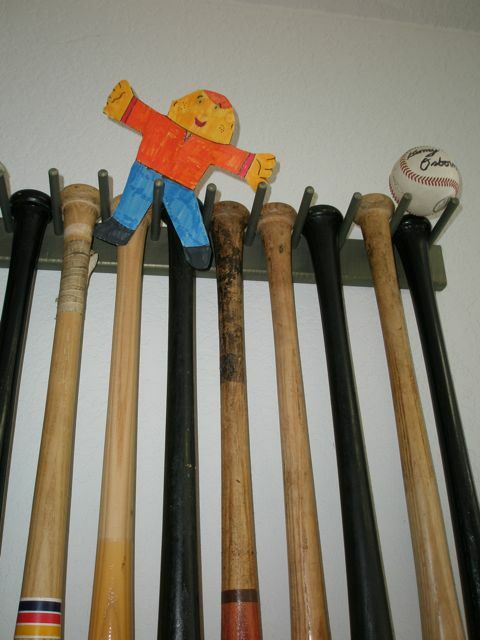 …but decided it was more fun to play hide-and-seek in the fabric bolts. 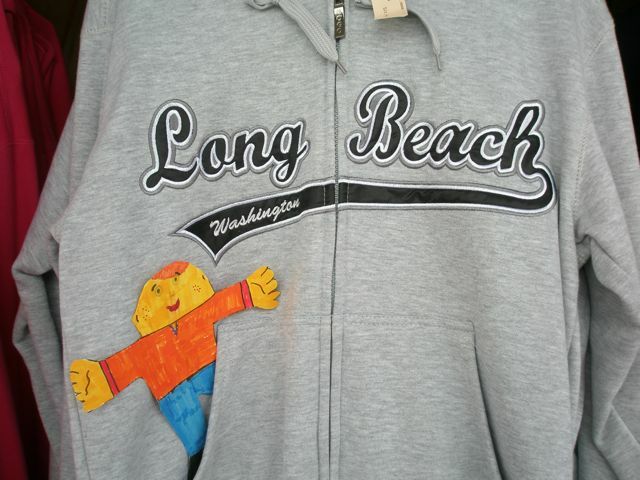 So he rode on the dashboard and watched for the Welcome to Long Beach sign. 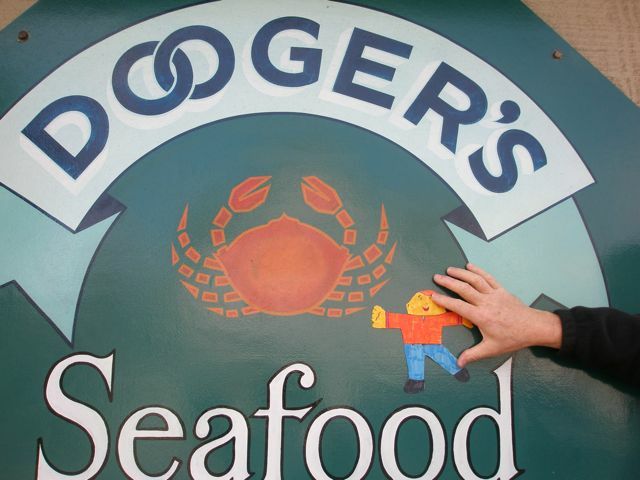 He was getting hungry so we went to Doogers for lunch. 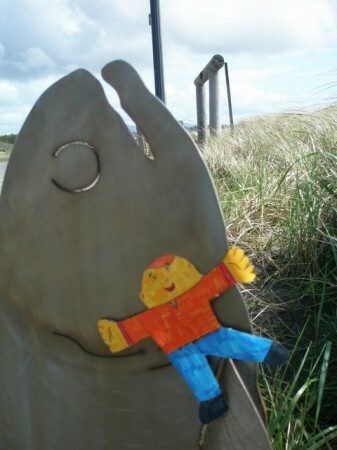 Flat Stanley ate crab! 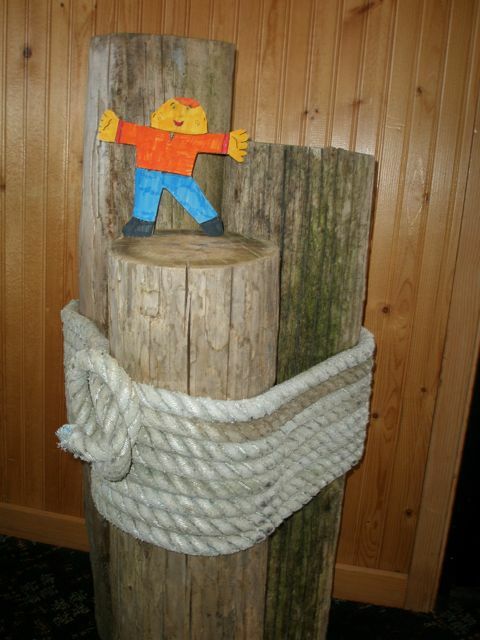 While the grownups were visiting, he climbed on the pilings…. 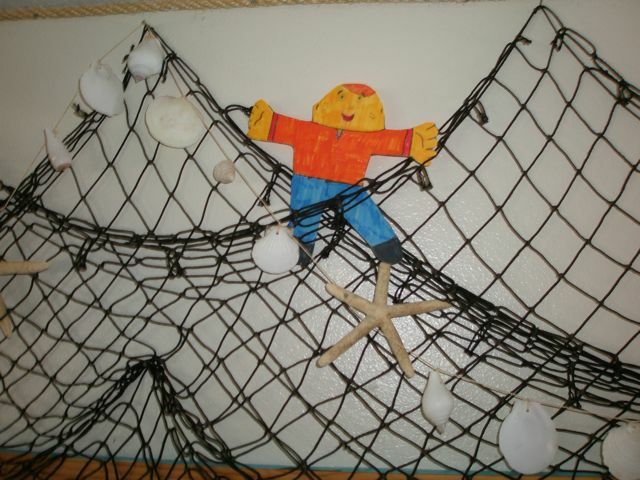 …and hung around in the fishing net. 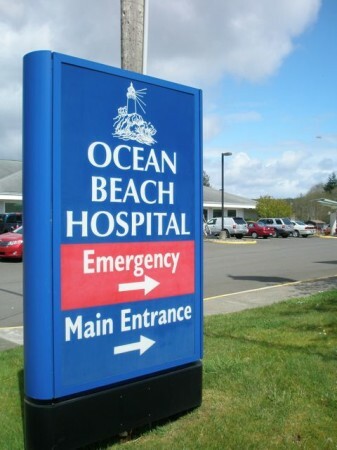 But what Flat Stanley wanted to see the most was the ocean, so we drove down the beach approach. 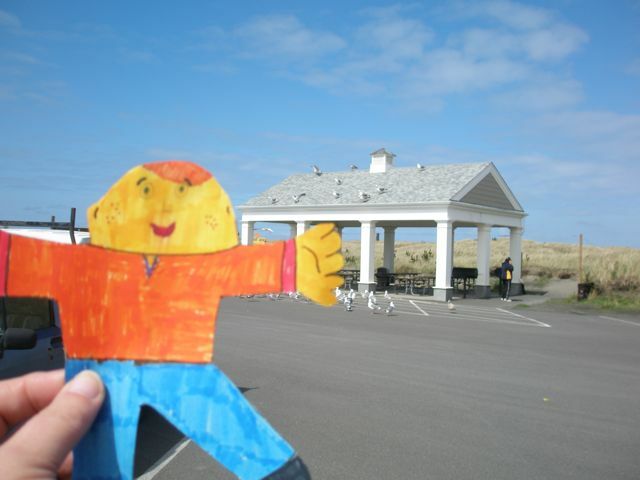 We thought about having a picnic at the pavilion, but we were too full. 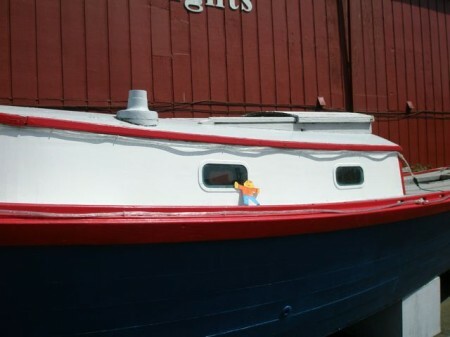 And, besides, there were too many seagulls there. Flat Stanley found a sheltered spot out of the wind and did some sunbathing and played in the sand. 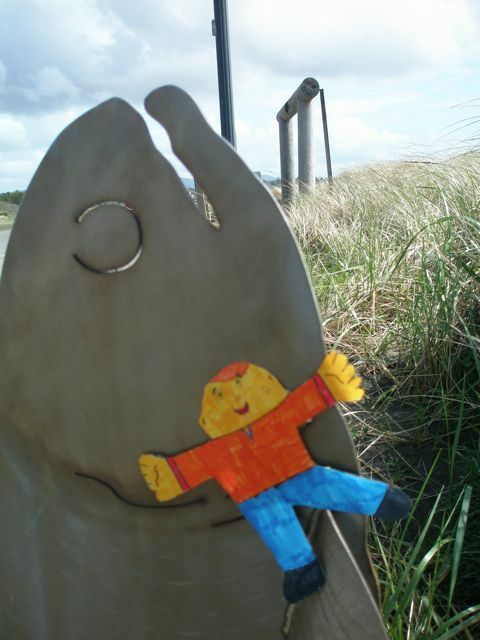 He even got to ride on a silver salmon! 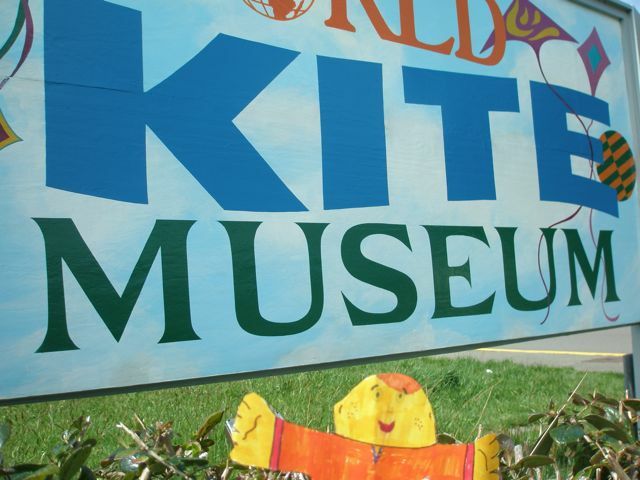 There are lots of things to do in Long Beach, like fly kites and go to the Kite Museum. But one of the most fun things is visiting Marsh’s Free Museum and seeing Jake the Alligator Man. 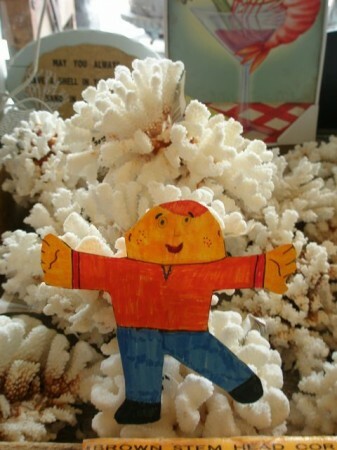 There were lots of seashells and coral there, too. 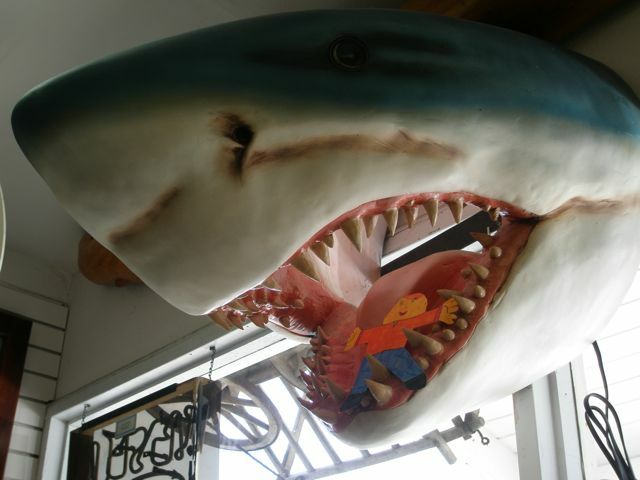 And a great white shark! Flat Stanley wasn’t even afraid to have his picture taken in the shark’s mouth. 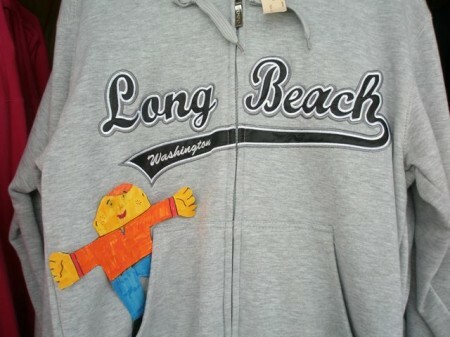 It was getting cold, so Flat Stanley slipped inside this sweatshirt pocket. 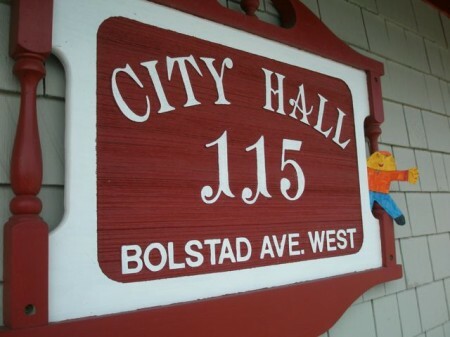 Like a good citizen, he visited city hall. 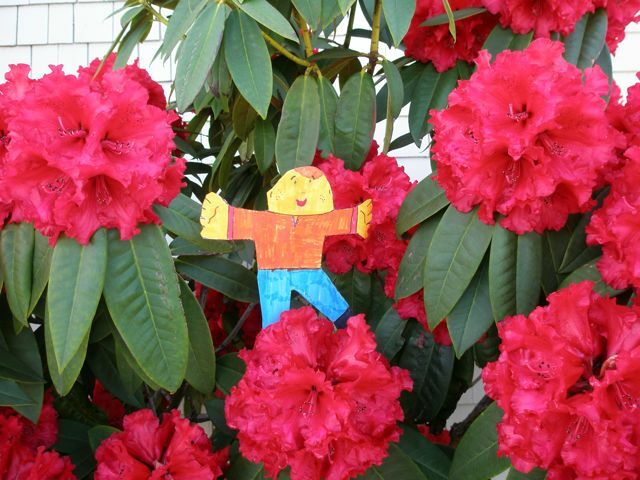 He learned that the rhododendron is the state flower of Washington. 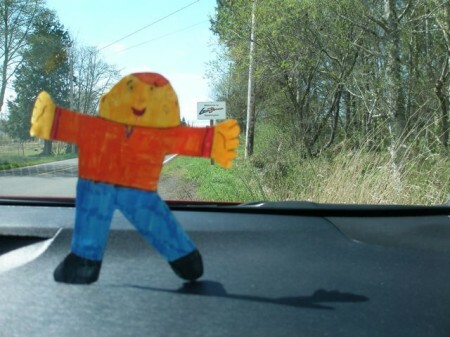 He was even more excited to learn that Long Beach is the end of the Lewis and Clark Trail, and that William Clark carved his name in a tree here over 200 years ago! After all this sightseeing, everyone needed some refreshments, so we had a hot chocolate at Angie’s coffee shop. 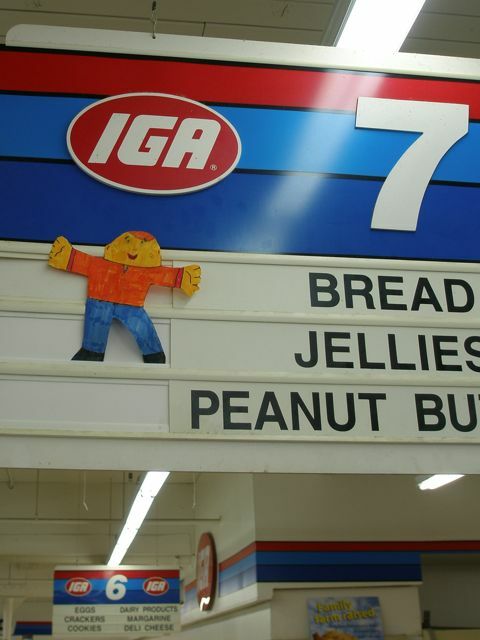 Then we went to Uncle Sidder’s grocery store. Uncle Sidder let Flat Stanley play with his baseball bat collection. 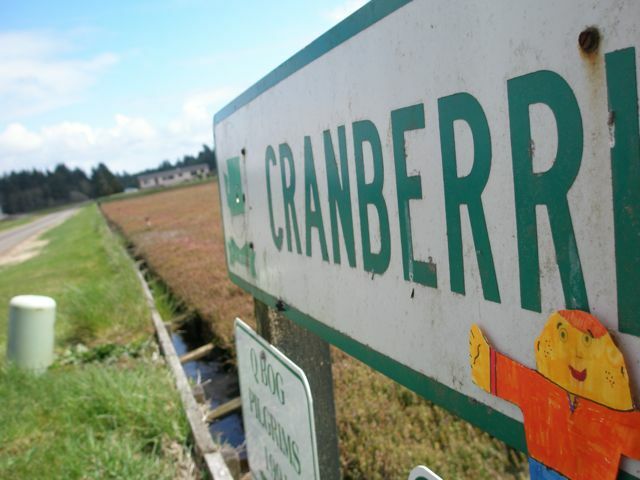 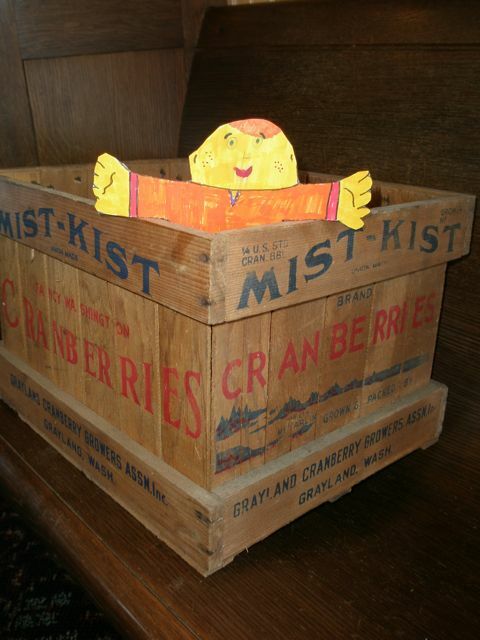 Flat Stanley knew all about cranberries because Papa Bob used to be a cranberry farmer. He looked in the vines for some cranberries, but it was the wrong time of the year to find any. 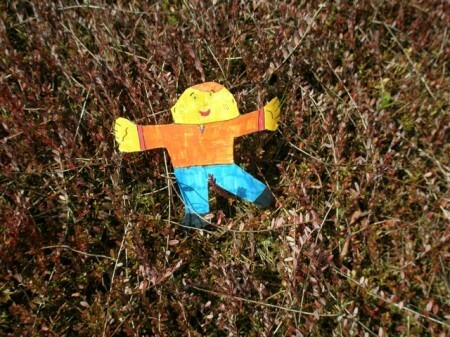 But it was still fun to be at the bogs. Flat Stanley asked if he can come back in October for harvest. 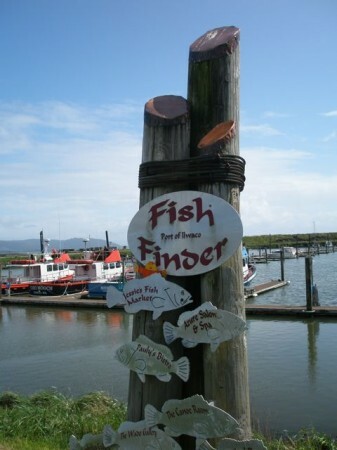 Then we went to the port dock in Ilwaco, where the fishing fleet is moored. 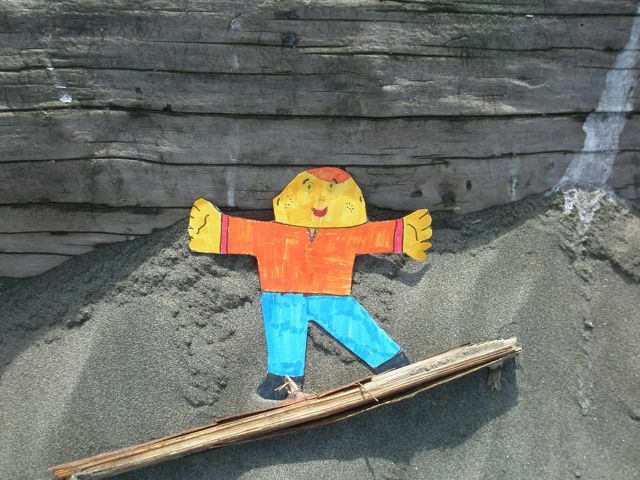 Flat Stanley got to go onboard a boat! 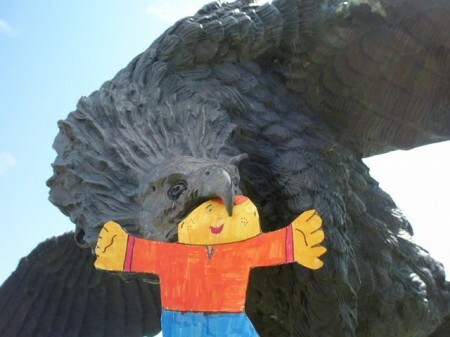 But just as we were leaving, Flat Stanley was snatched up by a giant condor! Luckily Papa Bob was quick and grabbed Flat Stanley out of the condor’s mouth. Grandma and Papa were worried that Flat Stanley had been hurt by the condor, so they called an ambulance. 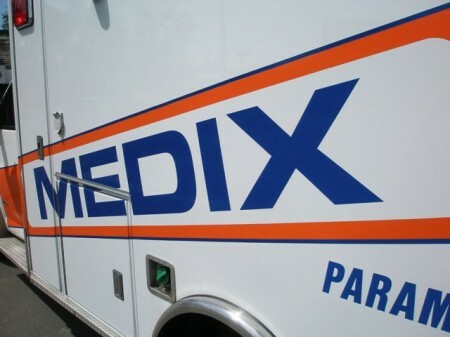 The paramedics put Flat Stanley on the gurney and took him to the hospital. 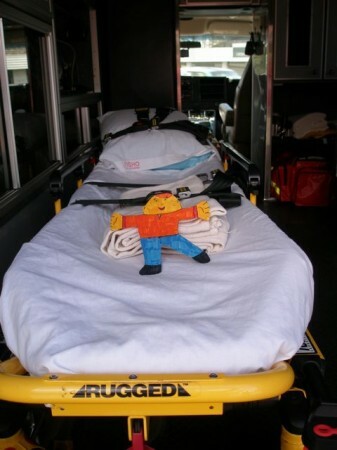 The doctors in the emergency room checked Flat Stanley out. 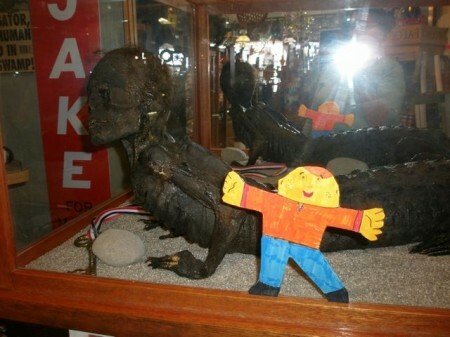 Luckily, he was okay. 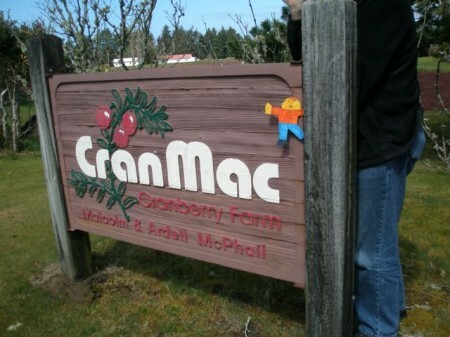 And he was very glad get back to Grandma and Papa’s house after his big day! 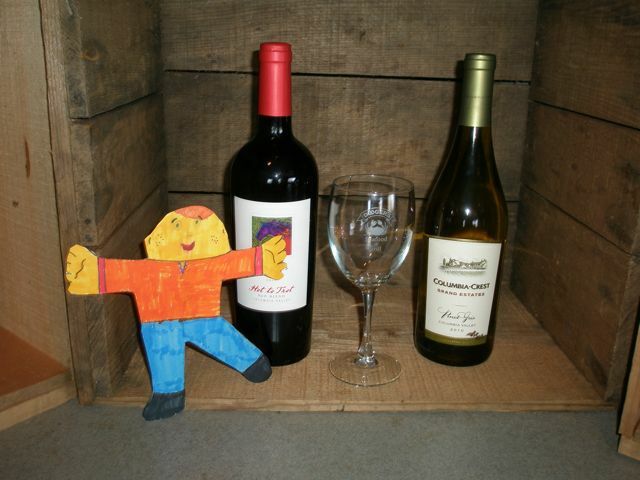 Well, except for this one…..I don’t know who needed it more, Flat Stanley or Grandma and Papa!